Two teams riding opposite runs of form will collide this Sunday at Old Trafford, where Manchester United will take on a West Bromwich Albion side that seems ticketed to play in the Championship next season. The Red Devils will try to strengthen their grip in the second place of the Premier League standings, while WBA need to start winning sooner than later to keep their salvation dreams alive – even if that situation becomes harder and harder after each week. For the first time in quite a while, the team news section in our previews will be extremely short. Jose Mourinho confirmed during the pre-match presser that he has a fully fit squad to choose from. The lone absentee will be Sergio Romero, as the Argentinian goalkeeper is still “a few weeks away” from returning after the injury he sustained with La Albiceleste in the friendly against Spain a few weeks ago. On the other hand, WBA should have a decent amount of absentees for this one. Hal Robson-Kanu (concussion), James Morrison (Achilles) and Gareth Barry (knee) have already been ruled out, while former Manchester United star Jonny Evans is doubtful due to a knee problem. However, caretaker manager Darren Moore did deliver some positive news for the Baggies. Daniel Sturridge, Sam Field and Nacer Chadli will all be part of the squad, though. Manchester United only have the Premier League and the FA Cup to concentrate after their UEFA Champions League exit at the hands of Sevilla. But it seems the European exit could end up being a blessing in disguise for The Red Devils, as they are on top form at the moment. In fact, they have scored 12 goals in the past five league matches, and the team is currently riding a five-game winning streak. They have also registered eight wins and just two losses in the past 10, and their most recent result was a huge 3-2 win over Manchester City at Etihad Stadium, where two goals from Paul Pogba lifted the team. On the other hand, West Brom have had a disappointing season and there is no way to sugarcoat it. They currently have 21 points from 33 games and are 12 points adrift of safety with only five games remaining in the schedule. They still depend on other results, but the writing is on the wall for them. Moore has done what he can to turn things around for The Hawthorns club, but it has not been easy. And the recent form does not help them either, as WBA have two draws and eight losses in their last 10 Premier League matches. That form surely looks like relegation worthy! United have the edge over West Brom historically, winning 56 of our 131 meetings in all competitions – with the first taking place back in 1892. West Brom have won 43 and there have been 32 draws. The recent record – the last five matches across all competitions – show three wins for Manchester United, one draw and one loss. The Red Devils won the reverse fixture 1-2 at The Hawthorns on December 17, 2017. Manchester United have been on top form of late, and West Bromwich have had lots of problems to get positive results. The pressure of being at home and the relegation fear might be too much to handle for WBA, though. I expect The Red Devils to win the game rather easily. Those who are looking for enhanced odds exclusives can have a look at Betfair’s enhanced odds. The offer will be available for players who register through this link. Mind you that all winnings are paid in free bets and that there is additional £100 in free bets waiting for you on your next 5 deposits. Remember to gamble responsibly. 18+ only. Terms and conditions apply. 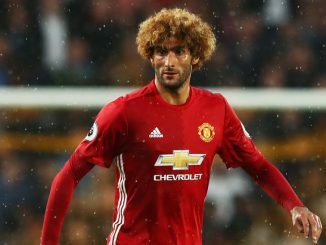 Should Manchester United Sell Marouane Fellaini? 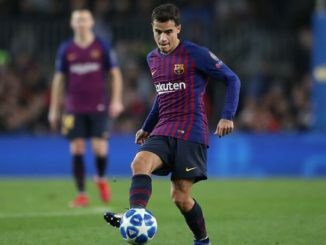 Transfer Rumours: Manchester United Linked With Philippe Coutinho Move?